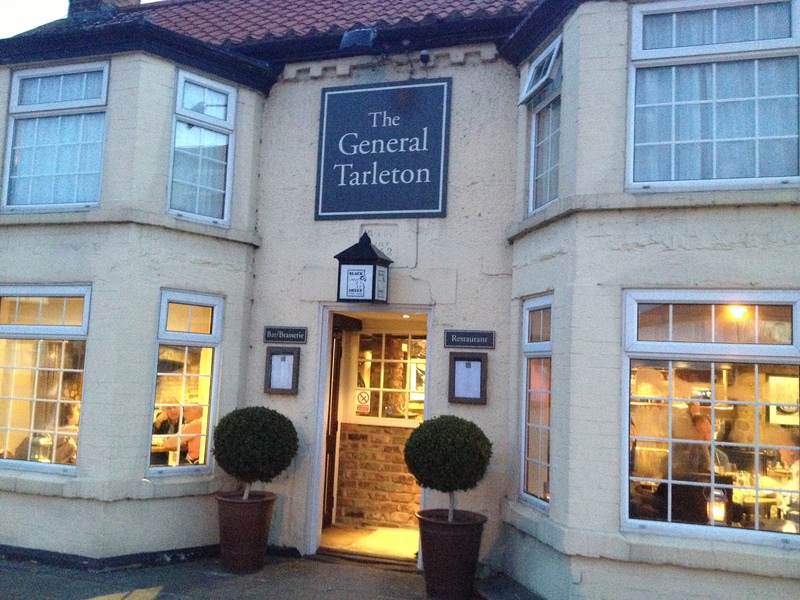 Us greedy sisters don’t need much excuse for a celebratory meal, so the end of an exam prompted a midweek visit to The General Tarleton. With windows aglow, this pretty North Yorkshire inn just invites you to step inside, and despite being a Wednesday evening the atmosphere was bustling. There was a reasonably priced set menu of British classics, however I couldn’t say no to the interesting flavour combinations on the A La Carte menu. 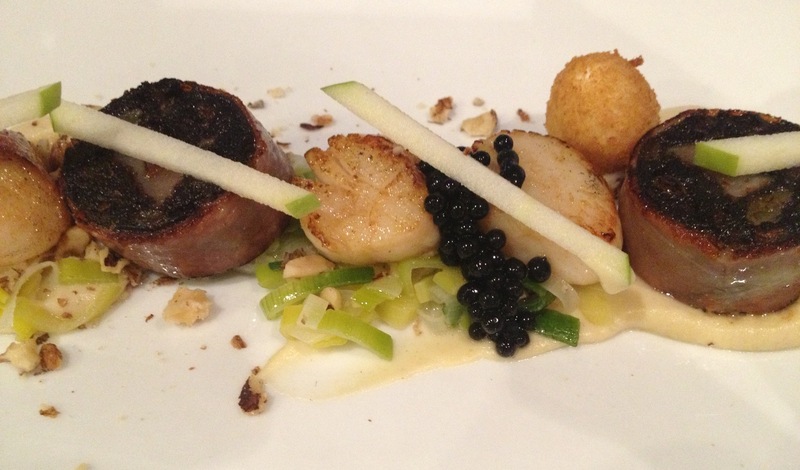 To start I had the scallops, accompanied by homemade black pudding, creamed leeks and balsamic dressing. Attractively presented with little slivers of apple this was the tastiest scallop dish I have ever eaten. Each flavour worked with the others without overwhelming the perfectly cooked scallops. This was followed by a main course of confit of duck leg, with parmentier potatoes and spring greens. 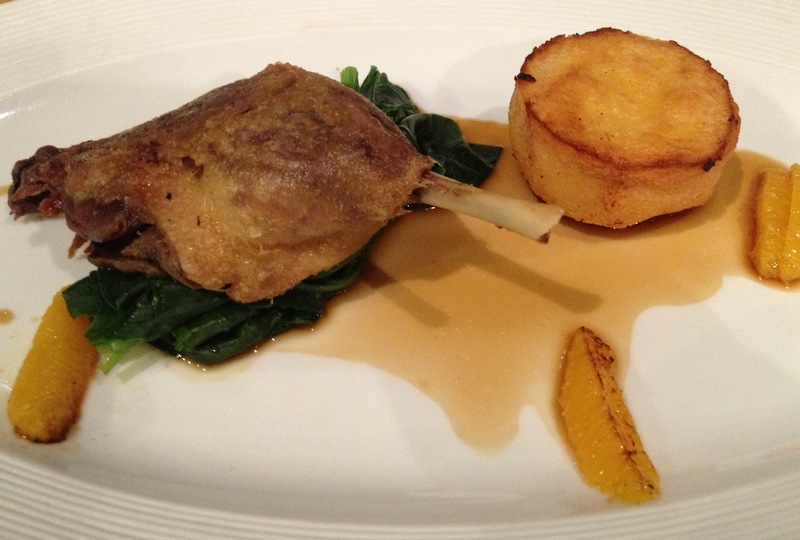 This was served with a light orange reduction which had enough acidity to cut through the richness of the duck. Unfortunately I was too full to manage a dessert, but I’m sure we will be returning in the not too distant future. We hear their Sunday lunches are pretty good too! Looks very inviting. Thanks for the recommendation Sisters!